YG Entertainment has confirmed that Lee Sung Kyung and Nam Joo Hyuk (Weightlifting Fairy Kim Bok Joo Couple) are officially dating and are in a relationship. Lee Sung Kyung and Nam Joo Hyuk are the latest power-couple to go public with their relationship after rumors first emerged weeks ago. The rumors were fueled by Lee Sung Kyung’s photo on Instagram at Coldplay’s concert in Seoul, which appeared to show Nam Joo Hyuk blurred in the background. Since news was first released, YG Entertainment has now confirmed that the rumors are true and they are in fact dating. The two became incredibly popular amongst fans after co-starring in Weightlifting Fairy Kim Bok Joo for their roles as Bok Joo and Joon Hyung. In the past, Lee Sung Kyung even talked about her ideal type and now it seems Nam Joo Hyuk was exactly that type for her! “I’m a very honest person when it comes to personality or expressing myself, and I also don’t hold any grudges. If I have mutual feelings with him and like him back, I wouldn’t be the type to hide it. 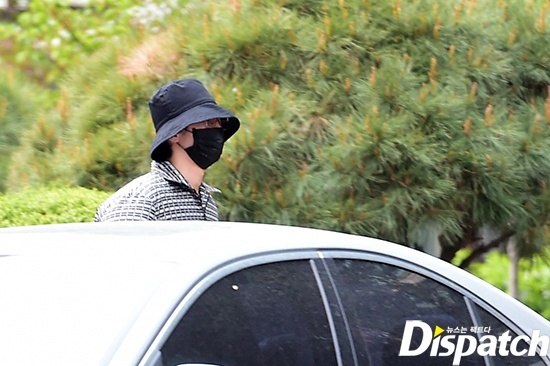 Dispatch also released photos of the two on a date which was taken prior to their relationship news being released to the public. The photos show them secretly dating with clothing that hides most of their face. 1. They fell in love while filming a drama, and continued the relationship after it ended. 2. The two of them are seen wearing couple bucket hats! 3. Look at that ninja dating style!